On Monday, Wikileaks released documents revealing discussions between U.S. and Japanese officials over plans to weaken Sea Shepherd Conservation Society’s anti-whaling efforts. Sea Shepherd sails the seas every year in an effort to protect whales by interfering with hunts by Japan’s whaling fleets. The documents leaked to Spanish newspaper El Pais reported Monica Medina, the U.S. representative to the International Whaling Commission (IWC), and senior officials from the Fisheries Agencies of Japan last year discussed stripping Sea Shepherd’s tax-exempt status as a political move to come to an international agreement on the number of whales killed each year. Japan also wants harsher measures to deal with the alleged “eco-terrorists,” about which Secretary of State Hillary Clinton agreed. At its meeting in June, the International Whaling Commission failed to reach a compromise between the last three whaling nations and those opposed to it. Since the creation of the IWC, increased opposition to whaling led to the moratorium on commercial whaling in 1986, and later the creation of the Southern Ocean Whale Sanctuary. 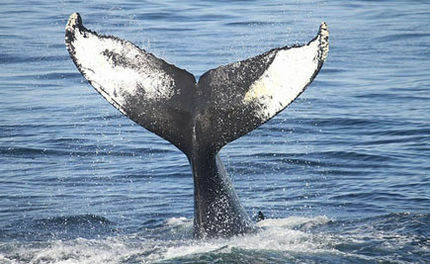 Now, only three of the 88 nations involved, Japan, Norway and Iceland, continue to hunt whales. Japan could potentially get a legal kill quota if it cuts the numbers killed in the Southern Ocean. Until then Japan continues to use a loop hole in the moratorium, killing whales under the guise of scientific research…in a sanctuary…for whales….where they’re protected by international law. Katsuhiro Machida, the director general of Japan’s fisheries agency stated that taking action against Sea Shepherd would be a “major element” in international negotiations on kill quotas. This would be the same fisheries agency that was just called out for taking “gifts” of whale meat from whalers. “Monica Medina of course had no authority to speak on the issue of tax status because she was not authorized to do so by the Internal Revenue Service or the U.S. Department of State,” said Watson. Watson said in the past Japan has pressured foreign governments to take action against the group, such as revoking the registration of its ships. Sea Shepherd was audited two years ago, before the discussions leaked in the documents, he said. “We have had our tax status since 1981, and we have done nothing different since then to cause the IRS [Internal Revenue Service] to change that,” he told the Associated Press. “No harmful or aggressive actions have been proven against Sea Shepherd and no charges have been filed against Sea Shepherd by Japan or any other nation over the issue of whaling in the Southern Ocean,” said Watson. The deputy general director of Japan’s fisheries agency was also quoted stating, “the harassment of the Sea Shepherd Conservation Society had kept the Japanese whaling fleet from reaching its quotas these last few years,” which really means that Sea Shepherd is, in fact, successful. Right now Sea Shepherd boats are in the Antarctic Ocean disrupting Japan’s fleet which kills about 1,000 whales every year. So there you have your tax-dollars at work. No wait, your donations to an NGO working! Obama to Lift Whaling Ban? I did and will continue to add any and all support to Capt. Watson and his crews that try in whatever manner to protect the creatures of the oceans of this planet. Without the so called outlaws(their words) these countries such as Japan and others will continue to slaughter all the helpless and defenseless animals. If I was 30 years younger I would be there throwing whatever can be used. The enemy would have no problem killing the Sea Shepherd volunteer's if they got in the way just as they have no conscience killing the citizens of the sea's. Sickening. Watson and his crew are doing what I would have liked to do if my situation were different and the fact that all these ignorant caricatures of the human being are fighting him depresses me. SHAME ON YOU GREEDY BASTARDS!!! LEAVE THE WHALES ALONE -- THEY HAVE THE RIGHT TO LIVE THEIR LIVES IN THEIR OWN HABITATS HAPPILY AND COMFORTABLY -- WE HUMANS, DO NOT HAVE THE RIGHT TO SAVAGELY OR OTHERWISE SLAUGHTER THEM -- IT'S SHAMEFUL, IMMORAL, CRUEL AND UNCONSCIONABLE -- LET THE WHALES LIVE -- YOU'LL BE SORRY, VERY SORRY, IF YOU DON'T! Some people on this planet are not worthy to be living & breathing to say the least. These evils are on this earth to Destroy and ruin the others lives and their owns as well. The people who knows the love and kindness, compassion would never be able to do such massive brutal killings of whales or any other creature on this planet. Those cruel Japanese, Norwaygeons and Icelanders are simply the sub-humans and not known to kindness and compassion. They will no doubt will rot in hell before they die too. Righteous indignation is no longer enough. Speak loudly with your votes and take up your right to exercise vigilante justice. The government is not going to protect you, the whales or anyone else for that matter. Corruption is rampant. This is just one more heartbreakingly sad example of how credible your government really is. The IWC representative needs to be called out on this abhorrence and/or replaced. Japan's practices under the guise of "research", and refusal to stop are illegal, and yet we're looking the other way and going after the good guys? When willl we learn?